History= Alaska was born in, well, Alaska. 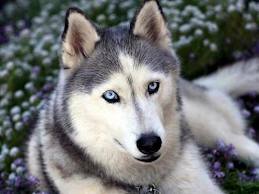 She had a farely normal first two years of life, being trained to be a sled dog by her owner, Marcus. She lived with three other dogs that would also pull sleds with her. She was at the back of the sled. She trained well and was soon a supreme sled puller, though one day Marcus went bankrupt. He had to sell all his precious dogs including her. She was sold to an aggressive and slightly more abusive owner than Marcus was. He would kick her with her boots and always take away her food. She would run hours a day and she loved that, though she was not used to it. Soon five other dogs came along to join her small team. They were all aggressive males that liked to tease her. She started to get wounded by the males and she could no longer pull the sled, she was going to be taken to the pound. Though he ran away before she could be taken there. She wanderd as a stray for a couple of months before she found team 1, she became a member of their team.